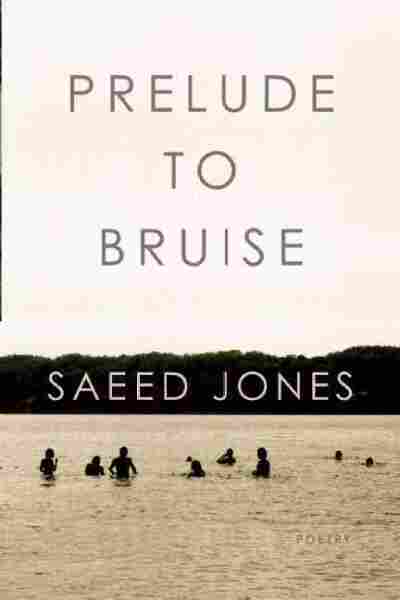 Brilliant, Unsparing 'Prelude' Will Leave A Bruise Saeed Jones' visceral, affecting new poetry collection, Prelude to Bruise, centers on the experience of Boy, an African-American child negotiating gender, sexuality and family in the South. The difficulty in reviewing excellent poetry is to keep from responding in kind. When I've thoroughly enjoyed a collection, it isn't enough to praise the rhythm, the intensity, the clarity of the work I've just read; I find myself writing about how the book is "seamed in smoke" or observing "the supple twisting of its narrative spine." But I don't want to do that here — Saeed Jones' Prelude to Bruise is so visceral and affecting, I can't risk burying it in my own figurative language. I like to break my black boys in. In the poem, "boy," "black," "body," "broke" repeat and twist, twine and change. As a consequence you're always hearing at least three meanings simultaneously: a literal meaning, a metaphorical meaning and the meaning before last — "burning" before it became "burnished" or "burned." It's impressive to see this kind of contrapuntal wordplay in a single poem, but Jones sustains it over the whole of the collection, as each piece is dressed in the resonance of those that came before. There is a core melody threaded through the collection as well, a theme: the story of Boy, a queer African-American child navigating family, gender and desire in the South. The result is a tight, complex, glittering work that pulls no punches and dims no light. is utterly breathtaking. These are poems that look at hard, ugly experiences and wring a mythic sort of beauty from them. They bring to mind the Little Mermaid, whose every step on land felt like knives — if her dancing were translated to poetry, it would read like this. I keep coming back to music and clothing as I try to describe the language of these poems: reading them is like watching a dancer perform in a corset. The control is muscular, the restraint painful, the release tremendous. There is also a curious focus on the body as an item possessed, separate from the self: In one piece "Nina Simone sings / in the next room without her body," while in another, the speaker asks, "would you use your body to guard my body tonight." There are too many exceptional poems here to single out, and not a single one that didn't at least impress me; to itemize them would be something akin to admiring individual stitches in a fabulous piece of couture. This is indeed a book seamed in smoke; it is a dance that invites you to admire the supple twist of its narrative spine; it is hard and glaring and brilliant as the anthracite that opens the collection: "a voice mistook for stone, / jagged black fist." Where it lands, it will leave a bruise.